We don’t mention Popeye, where he collaborated with Robert Altman. We don’t mention Steven Spielberg’s Hook. 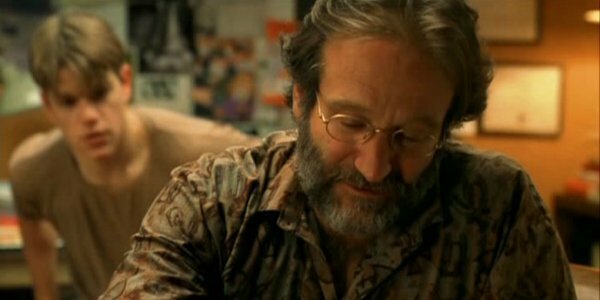 We don’t mention The World According to Garp, Good Morning, Vietnam, The Fisher King or Death to Smoochy. 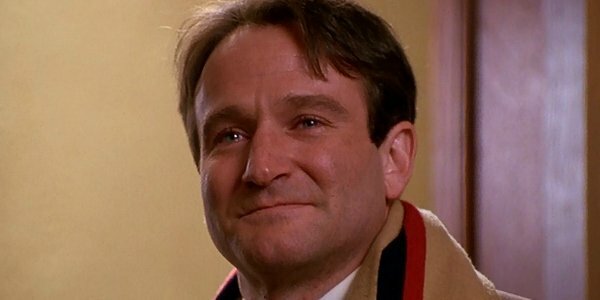 When trying to honor the cinematic legacy of the late Robin Williams, the only guarantee is that you are going to leave at least one classic film off of the finalized list. The impossibly gifted performer did so much in his too-short time, entertaining and amazing audiences in imaginative comedies, heartwrenching dramas and whip-smart stand-up routines. His talent seemed unlimited. The loss, at the moment, seems immeasurable. But while we currently lament the future features Robin Williams won’t be able to deliver (including a Mrs. Doubtfire sequel that recently was discussed), let’s do something healthier. Something happier. Let’s turn our attention to the movies that have and will earn Robin Williams a spot in Hollywood’s nonexistent Hall of Fame – the classic performances that touched our spirits over the years and gave us a taste of the genius walking among us. 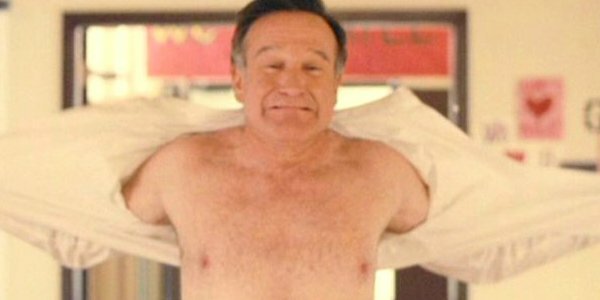 These are our favorite Robin Williams moments, the movies we could never live without. "It’s not your fault." Serendipitously, I watched Good Will Hunting on a cable movie channel a few weeks back. I hadn’t seen it since 1997, and saw it through fresh eyes. The Matt Damon-Minnie Driver relationship is doe-eyed but passionate. The blue-collar speeches of better days shared between Damon and Ben Affleck are the clichéd traps of first-time screenwriters. But the intermittent scenes between Damon and Robin Williams, as damaged therapist Sean Maguire… oh man, those are breathtakingly combustible powder kegs of honest, searing human emotion. 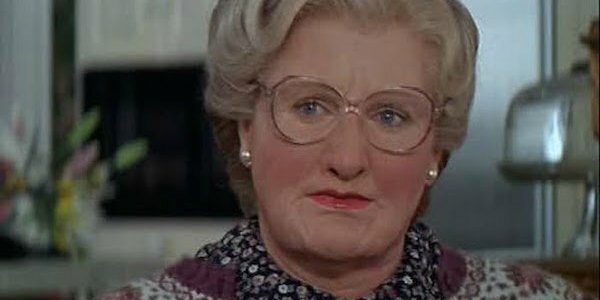 When we think of Mrs. Doubtfire, it's likely many of us automatically think of Robin Williams, dressed up as an older woman, dancing with a broomstick, beating up a purse snatcher or fanning the flames of his ample, artificial bosom. But beyond that layer of goofiness is a movie that exemplifies everything that made Robin Williams such a great entertainer. He didn't just make us laugh at -- and with -- his characters, he made us care about them. 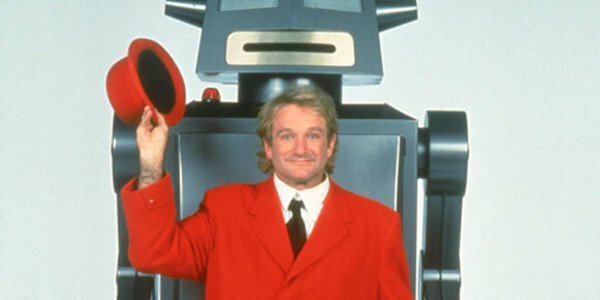 Toys is not Robin Williams' best film, but it's sure one of his most under-seen gems. In the role of man child Leslie Zevo, Williams got to show off both sides of his acting. For a majority of the film, he's a rampant goofball who wears all sorts of devices, cracks jokes, and lives in a doll house with Joan Cusack as his doll-obsessed sister. But by the end of the film, when everything he loves is threatened by his militaristic uncle, he grows up and takes a stand against an injustice with which he disagrees. Complete with a totally 90's soundtrack, and some of the most colorful visuals ever seen on film, Toys seems like a film that only Robin Williams could have inhabited. 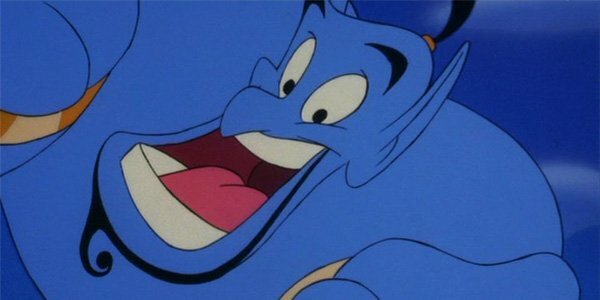 When you think about how much time and hard work goes into the creation of an animated film, it’s incredible to realize just how much of the character of Genie in Aladdin was a pure creation of Robin Williams. The actor provided directors Ron Clements and John Musker nearly 16 hours of material (the actual film is only 90 minutes long), and he improvised so much that it actually prevented the movie from getting a Best Adapted Screenplay Academy Award nomination. It’s amazing how much of the vocal performance is what drove the larger creation of Genie, who is without question one of the greatest characters ever created by Walt Disney Animation. I'm terrified of being a father one day, because I fear that it would be a lot like World's Greatest Dad. Part of that comes from the reality that Williams brings to the role: he is an absolute hell as a man who has to deal with the world's biggest shitheel of a son. Daryl Sabara's toxic kiddo seems like an absolute nightmare of a scenario, a racist, sexist pervert child who only spreads negativity everywhere he goes. But a freak accident kills his boy, and he has to counter the memory of his son versus his own unconditional love. It's a comedy of deceptive complexity, as Williams' put-upon schoolteacher finds a way to exploit the loss of his son for his own gain, which surprisingly, and darkly, still allows him to sleep well at night. Williams doesn't let his character off the hook, finding the sadness and regret that comes from what he feels was ultimately a wasted father-son relationship. Robin Williams was charismatic. He was the type of guy who could convince someone of almost anything. He had a way with words, and an unstoppable passion that couldn’t be tamed. In his worse moments, that quality had a way of overshadowing everyone else. In his best moments, it had a way of ever so carefully flickering out at just the right moments. Dead Poets Society is one of those best moments. It’s a remarkable essay on restraint and understated care. Williams’ John Keating is a believable English teacher. He’s a little smarter and a little more motivated than most, but he’s not unlike a few teachers we all had in high school. He knows the material cold, and he’s really invested in teaching people how to think and how to see the world in a different way.